regulatory and commercial issues they face." The rise of renewable energy technology and investment has a champion in Eric Hurlocker, a founder of the firm. For the past twenty-three years, he has focused on advising clients in the areas of energy law as well as commercial transactions and general corporate work for energy and technology companies, manufacturers and services providers. Eric’s renewable energy development company clients, as well as companies looking to use renewable energy in their operations, have come to depend on his thorough knowledge of this growing energy sector. Eric serves on the Board of Directors for the Maryland, DC and Virginia Solar Energy Industries Association, and also serves as General Counsel to the Association. He has been very active in regional solar policy initiatives, particularly in the Commonwealth of Virginia. 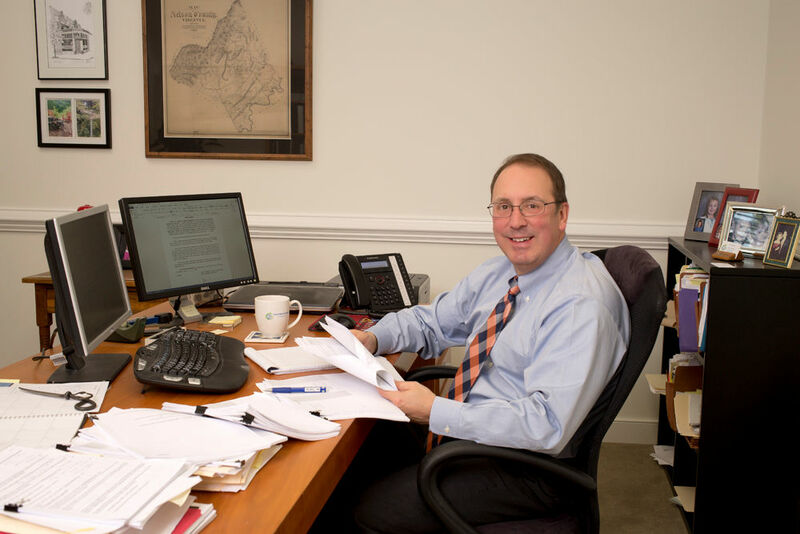 Eric’s practice has taken him to negotiating tables, boardrooms and to appearances on behalf of clients before the Virginia State Corporation Commission and Regional Transmission Operators. Additionally, he has also worked with both mid-size and large manufacturing and technology companies in developing procurement and sales agreements, and negotiating sophisticated commercial transactions. Recently, Eric has been advising start-up and small consulting and service companies in financing, general corporate and commercial matters. Eric developed his expertise early in his legal career as an associate at a large Virginia-based law firm, then moved in-house at Virginia Power in Richmond. Later, he worked as senior in-house corporate and energy attorney at PPL Corporation in Allentown, Pennsylvania. In those capacities, he was responsible for non-regulated activities, energy project development, asset acquisition and disposition and energy trading. After returning to private practice, he worked as a partner in two large Virginia-based law firms until forming GreeneHurlocker in 2012. Eric was born and raised in Central Pennsylvania. He and his wife, Andi, have two teenage children. They enjoy spending time hiking, fishing and enjoying the outdoors. Eric remains active at the University of Richmond, where he attended college and law school.